Auditions for round 2 of CWTS start over at Sew Dang Cute Crafts today! Auditions run through the 15th, so you’ve got plenty of time to link up an audition project. (It doesn’t have to be something brand new, but does have to have been made AFTER December 1st.) 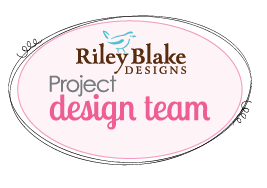 Head on over here to link up your project and read all the details! And I have to say that Emily from The Boy Trifecta who was my partner last round, has become one of my very favorite people. So yay for CWTS! Oooooh, how do I enter? I entered–how will I get a crafty-partner? Too tired trying to figure it out on my own. Sheesh. Click on over to Sew Dang Cute and add a project to the linky party. Each of the "stars" will make a top 10 list and submit it to Tam. She then takes the top 12 projects and randomly assigns them a partner! I've loved following this contest!